We deliver organic fruits & vegetables fresh from our fields to your doorstep. Whether you are a fruit fanatic, veg head or love it all, you can choose (and change) the size and type of produce box that works for you. Want to make changes to the produce items arriving in your delivery? No problem! It’s simple to add and swap out items in our online Farm Stand. Delivery to your door is included! Skip your delivery or change frequency to fit your schedule or vacations. Isn't it super fun to open your door to a delicious delivery? Sorry, we're not yet in your neighborhood. Join us online for info on new delivery areas, recipes and farm events. 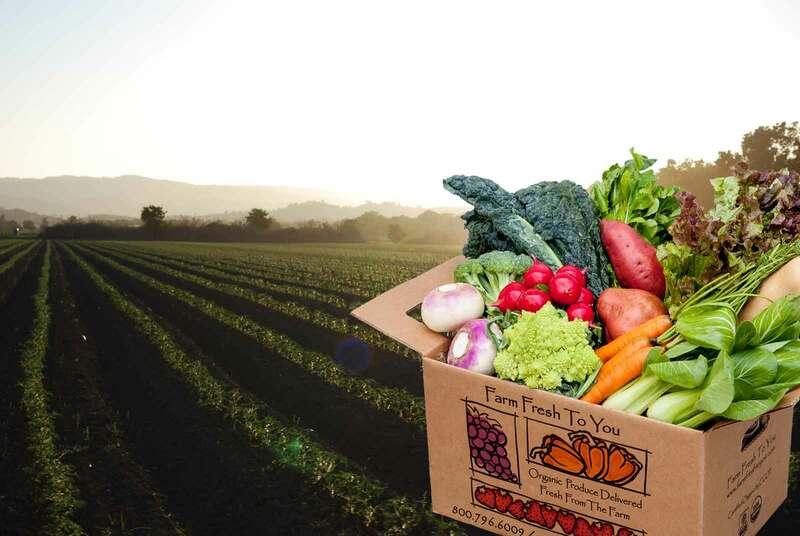 We bring the season’s best mix of organic produce and hand-crafted farm products conveniently to your door by growing and partnering with local farms and artisans in your area. 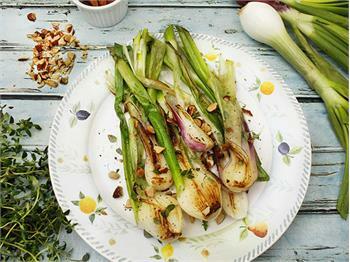 Sautéing spring onions brings out their already-sweet flavor and we topped these with toasted almonds and a hint of thyme to elevate this side dish. 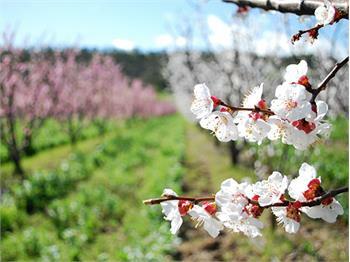 "The fruits of spring’s spectacular bloom of our apricot trees are visible – literally. They are tiny, but recognizable green apricots. The flowers that attracted the pollinating insects..." Read more Farm News from Thaddeus on our blog. Four recipes that will trick even the most devoted meat-lovers into enjoying a veggie-based meal. 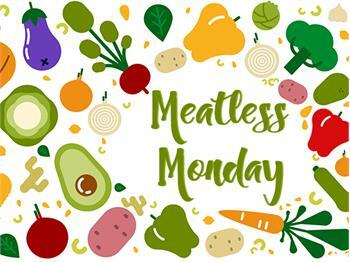 Visit our blog to find out why we love Meatless Monday and how you can get involved! Changes to your delivery have not been saved. Do you wish to continue?